Humanity should be grateful for the invention of Mac hotkeys. They probably saved us thousand years of time if put together. There is something addictive in using shortcuts - the quickness, the feeling of a keyboard, the geeky confidence in your fingers when you realize “hurray it works!” Once you get hooked on shortcuts, you’ll never go back to clicking again. Sometimes an app that you thought you quit is still secretly running in the background. When your Mac lags and you need some fresh memory, you may choose to quit all apps. You probably heard of Force Quit (Cmd + Option + Esc), but it’s a too long way to do it. Then, holding down Cmd press Q to cycle between apps you need to close. Dragging files to the Trash? Wait, this is not the only option. Here’s a shortcut to quickly delete unwanted files on a Mac, bypassing the Trash. Caution: there’s no way back. Did you know, the Command key ? symbol was borrowed from a road sign that is used across Scandinavia? Its original use is to denote tourist attractions. Early Mac models had Apple key instead of Command, but it later was changed as Steve Jobs feared that there would be too many “apples” in the OS interface. 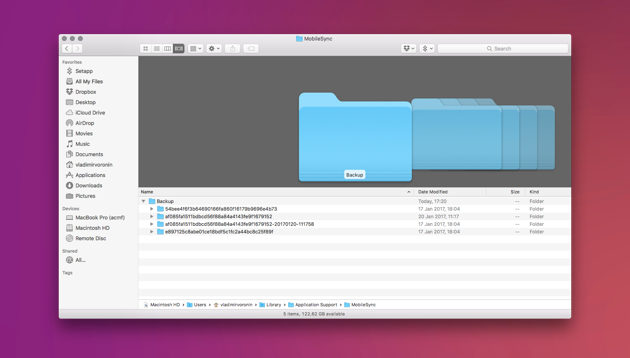 Cmd + Shift + 4 is an old classic way to make a screenshot on a Mac. But here comes the combination to take your screenshotting skills to the new level. 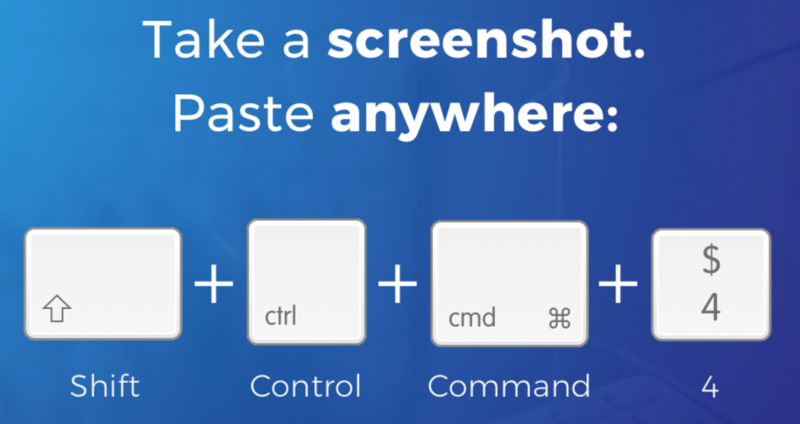 Normally you would make a screenshot, pick it from your desktop, and only then paste it to the new location. It appears, all this time you could do it easier. Among all Mac keyboard commands, this is the easiest. Since Siri’s arrival to macOS we got used to talk to Siri about weather and even ask her play our favorite tracks in macOS Mojave. If you are using macOS Sierra, High Sierra or Mojave, you’ll enjoy the ability to summon Siri using just one hand. Well, not exactly a shortcut, but indeed the quickest way to get more storage on your Mac. This combination of actions will free up dozens of gigabytes of space taken by garbage: unwanted files, system junk, app leftovers, etc. 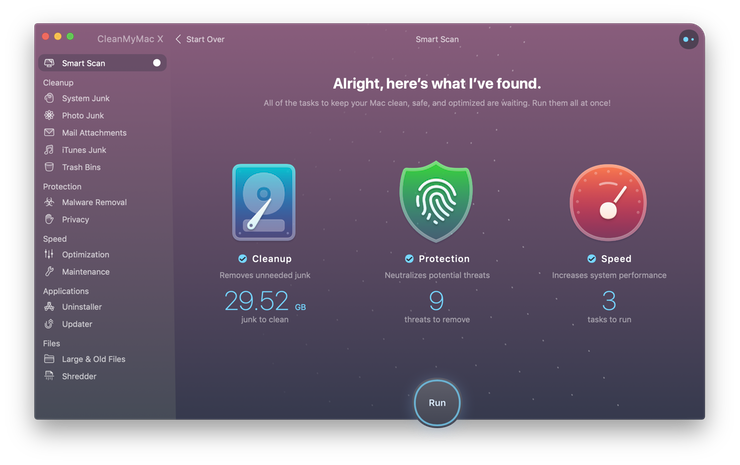 CleanMyMac removes about 54 GB of junk on an average Mac. Try and see how it cleans your Mac. CleanMyMac is available for a free download here. Finder is quite a resource-demanding tool. When you open a new Finder window it usually takes some time. For quicker access to your main destinations like Applications or Desktop, you can use the following shortcut combinations. Having hundreds of opened tabs in a browser has become a widespread syndrome nowadays. Closing tabs with a mouse is not only frustrating but also may freeze up your browser. Using a direct shortcut makes this job easy as a morning walk. How to memorize Mac shortcuts: ?? Psychologists say you have to do something at least 3 times to put it in your long-term memory. Attach small sticky notes to the outlines of your Mac’s screen with 3 or 4 shortcuts you really want to master. Then, leave it all to your fingers. You want to copy a piece of the text, but the old formatting drags along with it. Now you spend more time formatting rather than actually creating a text. To strip the text from old styling, use the following Mac hotkeys combination. A very good one to stretch your fingers. 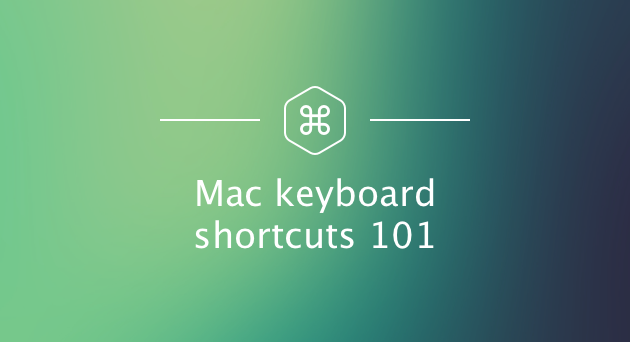 Probably this is the easiest documented shortcut key for a Mac. To enter special symbols, like those lamdas, tildas, and alfas, you need to press just one key. For instance, if you need to type a modified E, hold down the E key for one second and then choose among available variations that appear. You won’t believe, but 8000 people are googling how to do a strikethrough text on a Mac everyday. Although some applications don’t support it, this combination well works in TextEdit and Word. Now you can use it in every second line to add some roughness to your writing. The next combination works for most apps that allow printing. You don’t need to figure out where the print dialogue is located in every case. Just memorize this quick combination and send your files to print from anywhere. There comes a time when you need to do a spring cleaning on your Mac: sort out old garbage, move photos to an external drive, or clean up your old downloads. It is time-consuming and takes an immense willpower simply to start. But lucky you are: there are a few shortcuts to remove large heaps of files as quickly as if you had a machete. If you’ve got many files left after backing up, this will save you a good deal of time moving them to the Trash bin. To save you from a headache, there are apps that will do the mundane deletion job in an instant. CleanMyMac is perhaps the most reliable one. It has a tool that specifically searches for Large & Old files on your drive for a quick cleanup. 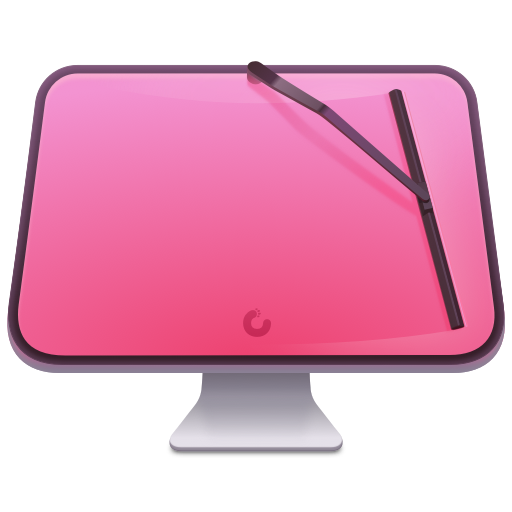 CleanMyMac is available for a free download. So, check it out. 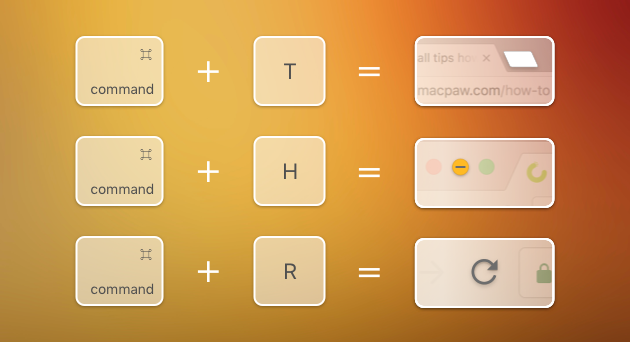 This was our take on most useful keyboard shortcuts for Mac. Thanks for reading. Below you'll find a few more links about Mac and productivity.